One year shy of a decade since since the official formation of the Lemon Project: A Journey of Reconciliation, the group’s Committee on Memorialization has released an open call for submissions for a memorial to enslaved people at the College of William and Mary. The competition launched Aug. 28 and anyone may submit ideas until 5 p.m. Oct. 28. Yet, the call for submissions marks only the beginning of this process. The top three ideas, as selected by a jury composed of professionals from the field of museums, arts and history, and staff, faculty and undergraduate students, will be submitted to College President Katherine Rowe after a period of consideration. “African-Americans have been vital to William & Mary since its earliest days. Even as they suffered under slavery, African-Americans helped establish the university and subsequently maintained it,” President Rowe said. In turn, Rowe will review each idea — which will be in the form of a plan and a 500-word description of the concept — and select one to be presented to the Board of Visitors at their meeting in February 2019. The creator of the submission ultimately shared with the BOV will receive $1,000. The second- and third-place idea submissions will receive $750 and $500, respectively. Based on the Board’s response to the president’s recommendation, a design process will then kick off for the memorial. The competition calls for a memorial that engages with the College’s so-called Historic Campus, which is comprised of the space around the Wren Building, from College Corner to the beginning of the Sunken Garden. 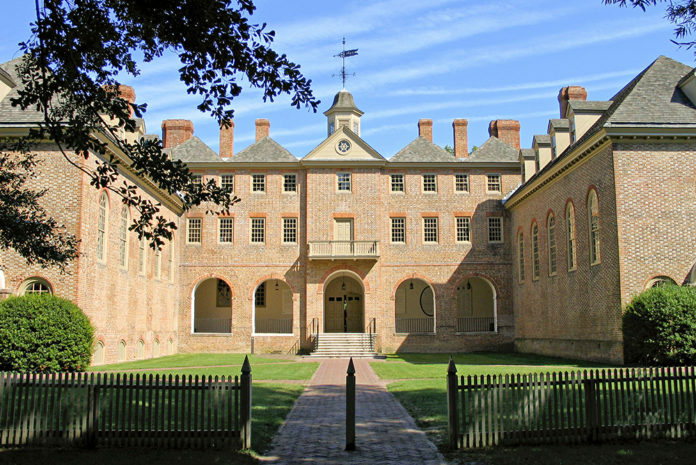 Notably, the Wren Building was built using slave labor and also served as the original slave quarters at the College. Historically, enslaved people also worked at the President’s House, the Brafferton, and in the kitchens and gardens surrounding them. As of right now, the memorial does not have an expected completion date, as the timeline is dependent on the design that ends up being selected. The memorial development and construction will be funded by private donations. The College selected nine jurors responsible for evaluating the design submissions. This panel includes an undergraduate student representative, Ivie Orobaton ’19, as well as professionals and alumnae with a connection to this area of research and scholarship and to the College in particular. Lemon Project Director and history professor Jody Allen, along with art history professor Ed Pease, taught a course entitled Memorializing the Enslaved at William & Mary in fall 2014. As part of the course, students developed possible proposals for a memorial. Since 2014, a number of open community meetings have also been held to gather community input for a memorial, so this announcement arrives after a lengthy preliminary process. One of the students who took this course, Timothy Courtney ’15, said that the memorial constitutes an important step in racial justice. “Although no sculpture or structure can erase the horrors that occurred, incorporating the acknowledgement that is long overdue into the material culture of the William & Mary can start conversations that need to occur; ones that will lead us towards further understanding and reconciliation,” Courtney said in a written statement. The Lemon Project was established in 2009, and the push for the creation of a memorial is only one of its projects aimed at reconciliation. The Lemon Project aims to address the history of slavery at the college holistically, and to conduct research as well as community outreach. Just earlier this year at the BOV meeting in April, former College President Taylor Reveley read an official resolution apologizing for the university’s role in slavery and segregation. The College is not the only institution looking for ways to grapple with and amend for its past. The University of Virginia’s Board of Visitors approved a design for a memorial for enslaved laborers this year. UVA has contracted a design team and said they are hoping to complete the memorial by spring 2019. Additionally, Harvard Law School unveiled a plaque in September 2017 that memorializes the enslaved people whose labor enabled the founding of the school. Marina Schlosser ’20, who has been involved with the Lemon Project for two years through a collaboration with Branch Out Alternative Breaks, said she believes a memorial to the enslaved would be valuable to campus. “A memorial to the enslaved would add tremendous value to the campus in that it is a public apology and awareness that a wrong has been done in our past and now should be worked to be rectified,” Schlosser said in an email. Another student, Kandance Kimber ’19 said she is constantly blown away by the work the Lemon Project does.